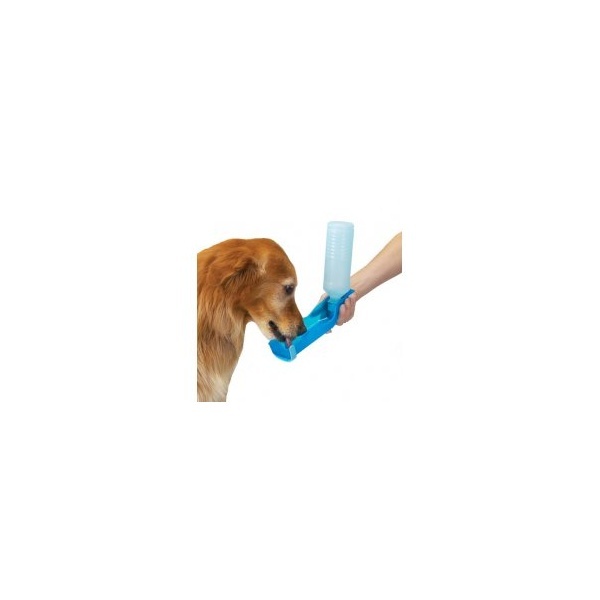 The compact, portable Guardian Gear® Handi-Drink keeps smaller pets supplied with fresh water on the go. Ideal for walks, hikes, car rides, camping, and trips to the beach. The patented rubber flow-control valve in the cap prevents leaks, spills, and backwash contamination. The easy-to-use, handheld design includes a plastic 17-oz water bottle, dispenser tray, and cover. 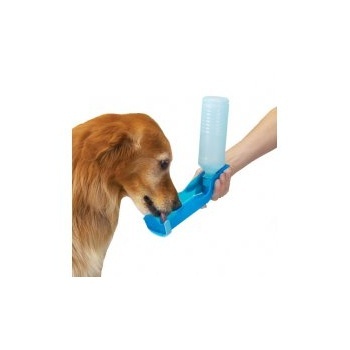 Simply snap the bottle upright into the tray and squeeze the bottle to dispense water into the tray for the dog to drink. It includes a convenient belt clip and carrying strap. The bottle folds into the tray for easy portability. The Handi-Drink includes a Guardian Gear®brand hangtag with use instructions.